Changing lives one client at a time! Success in a “Big Box." Khaled, a San Luis Obispo native, has been in the fitness industry as a personal trainer and Fitness Director for 9 years and has worked with a wide variety of clients with goals ranging from weight loss to body transformation to clients wanting to put on muscle and gain strength. 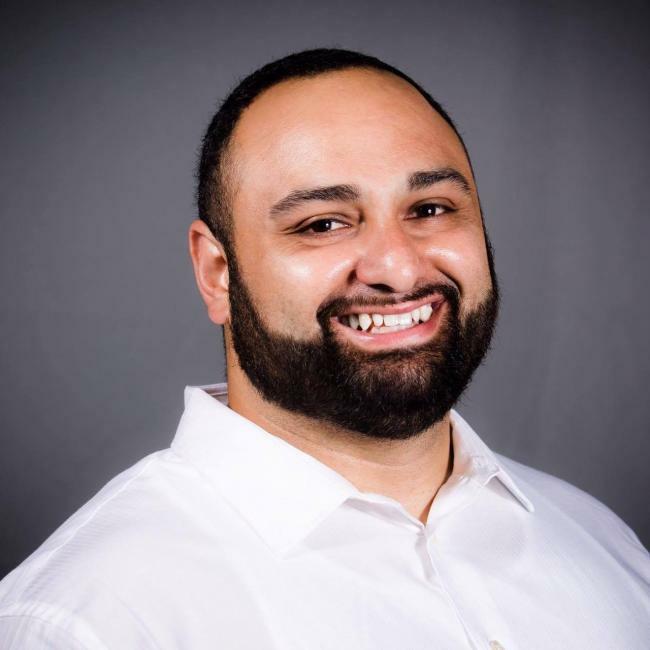 Khaled received his undergraduate degree in Sports Management with an emphasis in Health and Wellness from California University of Pennsylvania. He is currently working on his Masters in Clinical Rehabilitation. I am a complete fitness nerd. If there is a certification or seminar that I think will drive results, I’m all over it. I used to be overweight, tipping the scale at over 300 pounds but, after my own weight loss journey, I knew helping people is what I wanted to do. I walk the walk. I’m not going to tell you to eat kale for dinner while I’m out eating French fries. As far as I’m concerned, we’re in this together. Khaled’s mission is to “inspire you, to inspire the world,” and to help people live a healthier life, I want to help you achieve the results you’ve always dreamed of getting. $75.00 / hr, First Strategy Session is complementary.